It's par for the course with Boris! Good old' Boris! I bet Seb Coe wanted him to check the petrol level inside the cauldron! 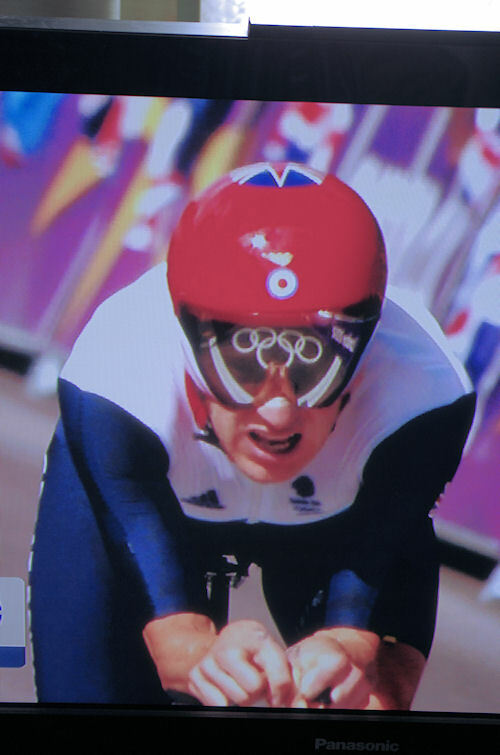 I like this screenshot (off my TV screen) of Wiggo winning the road race time trial yesterday, the reflection of the Olympic rings in his visor (they were painted on the road at the finish line) is genuine! 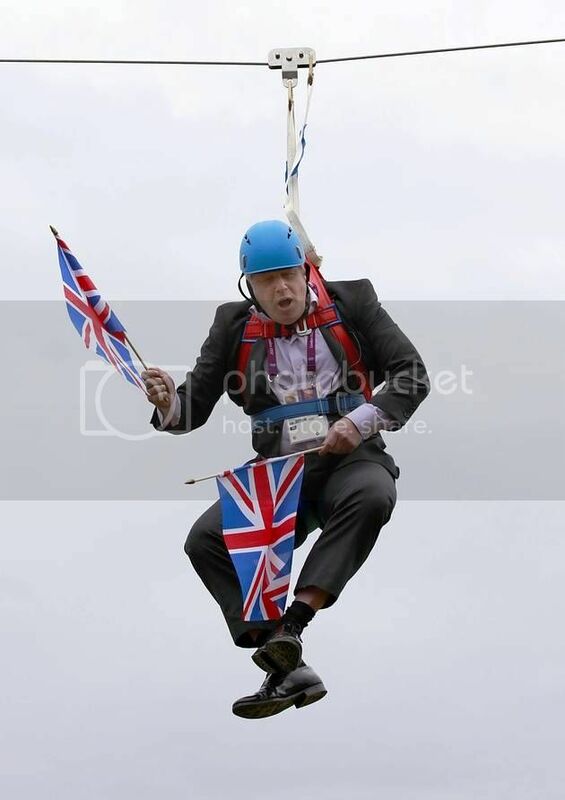 You need to remember, this guy is the Mayor of London, and might be Prime Minister one day! I must say good job to: Jessica Ennis, Mo Farah, Michael Phelps, Gabby Douglas, Missy Franklin, and all their teammates. A great show of effort, triumph, and perseverance was shown by all of them!! They deserved those golds. I'm really enjoying the Olympics too... GB were on a roll yesterday. I particularly enjoyed watching the outstanding performance from Mo Farah yesterday in the 10000m!!! I just can't take this gymnastics anymore. First Jordyn Wieber breaking down in tears when she didn't qualify for the All-Around. Then poor Komova crying when she faltered. Now Mckayla Maroney, no doubt the best vaulter in the world, messing up her second vault and looking completely devastated. It's one thing watching adults but these gymnasts are all soooo young! It's just heartbreaking to see kids get so upset. Yes it true that our young Olympic athletes faced some disappointment. I would even think the most hardened athlete is heartbroken at a bad round. But one simply picks up and carries on. Both she and Jordyn both won gold last week, so any disappointment is hopefully wiped away. The road to Rio is looking bright. I see that the Australians, who aren't yet doing well at this Olympics, have decide to combine their totals with NZ in the Sydney Telegraph, Aus Zealand! I wonder what Hayley thinks of that? Perhaps this idea could spread, and if Team GB did the same with its neighbour France, their medal total would be 63 - one fewer than China and two more than the US (not in that table but updated to now)! No, team GB should combine it's total with all commonwealth countries. In fact all ex colonies, including the United States. That should help our position in the table! Anyone else seen that music video that the U.S. swim team made (I would post a link, but the song is copyrighted)? Thought it was pretty funny. I loved all those curious looks by the people on the plane. The song is sooooo repetitive, though! Still, cool. 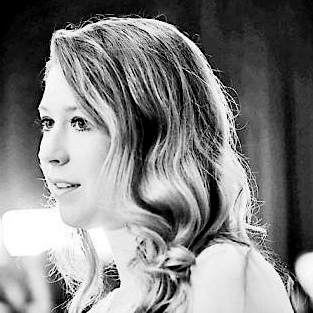 Yeah, that video of the USA swim team is cool (go Missy!) but It contains a commercially available and seemingly never ending song. 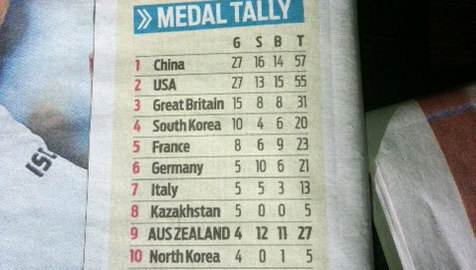 That medal table in the Sydney Telegraph is a few days behind. Great Britain currently has 18 gold, 11 silver and 11 bronze medals, total 40.